Architecture and construction consultancy YMD Boon has announced the completion of the first phase of its latest venture with the Rawlins Academy in Quorn, Leicestershire. 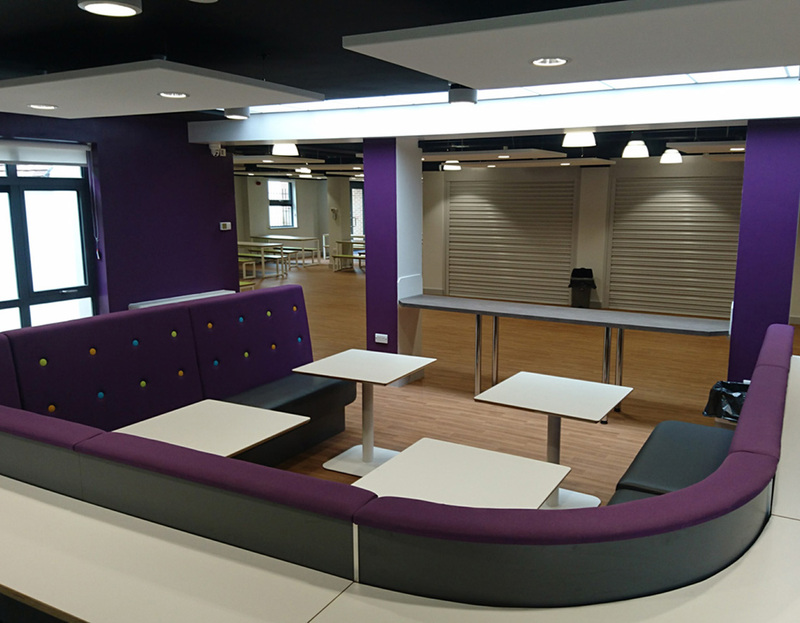 The project, which is part of Rawlins Academy's agenda to improve and enhance campus facilities, involves creating a new sixth form building, administrative and reception area for 1,500 secondary school students and staff, and transforming a disused swimming pool into a fitness suite. These works are being undertaken in several phases, with completion expected in April this year. The first phase, which is now complete, included major refurbishment of the existing building to provide high quality administration facility to improve student safe-guarding and enhance the overall exterior look of the school. The second phase, which has now commenced, includes complete remodeling of the existing sixth form building, including the creation of a high-spec sixth-form centre to facilitate higher student numbers. In addition, YMD Boon delivered the now complete 'Deep End' project - turning the former redundant swimming pool into a fitness studio and changing facility - which was funded by Sport England. The main studio can be divided into two to create flexible space to be used by both the school and the local community. YMD Boon director, Shari Setayesh, said: "We have been working with Rawlins Academy for the past five years; developing a master-plan which captures the schools vision and priorities as well as assisting the school with securing the funding to deliver the schemes. "This is an exciting and varied project to work on and will provide much needed state-of-the-art facilities. Plus, the new fitness studio will provide an important additional income stream for the school from outside groups who can use the space." YMD Boon has offices in Derby and Market Harborough.